This Ribbon pool table by Artisan is uniquely made. It’s got a lovely, light wood stain that helps this table blend in with nearly any color scheme. 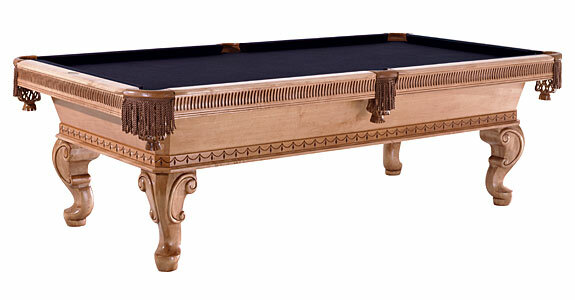 The leather pockets and carved legs on this Ribbon table make for an ideal choice for any room. If you have any questions about this particular Ribbon table, click the buttons to call or email Billiards and Darts Direct.